WE’RE HIRING! 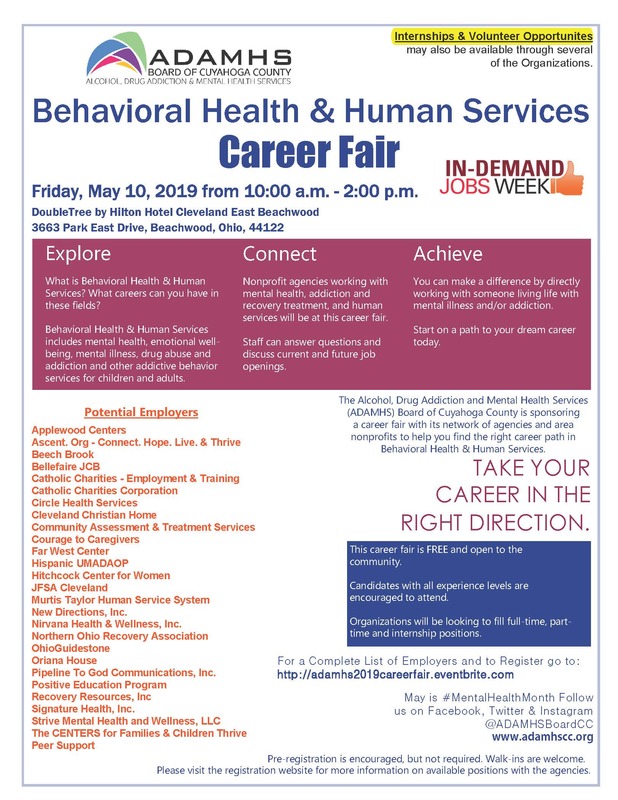 Bring your resume and look for Recovery Resources' booth on Friday, May 10th from at the ADAMHS Board Behavioral Healthcare & Human Services Career Fair. It will be located at the DoubleTree by Hilton Hotel Cleveland East Beachwood (3663 Park East Drive, Beachwood, Ohio, 44122) from 10:00 a.m. - 2:00 p.m. We are looking for passionate people to fill several positions, including Agency Clinicians, Assessors, Case Managers and Internships.